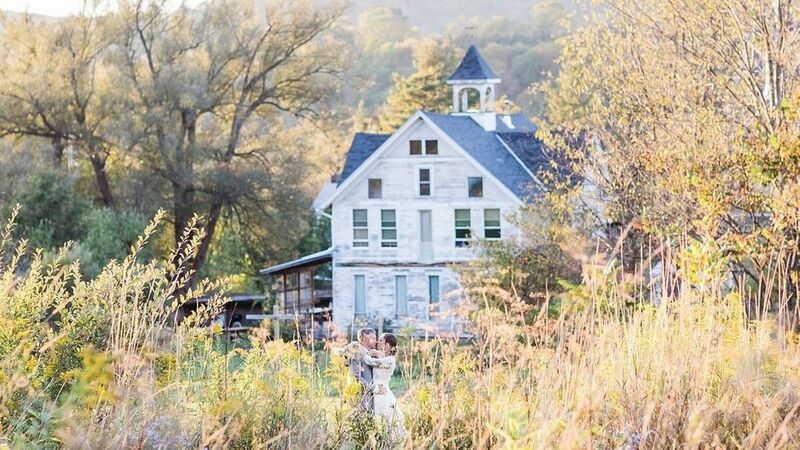 Located just 3 hours from New York City in the magical foothills of the Catskill Mountains, this former dairy farm features a historic 1700's barn, an 1800's carriage house and an outdoor event field with stage perfect for your indoor-outdoor wedding. 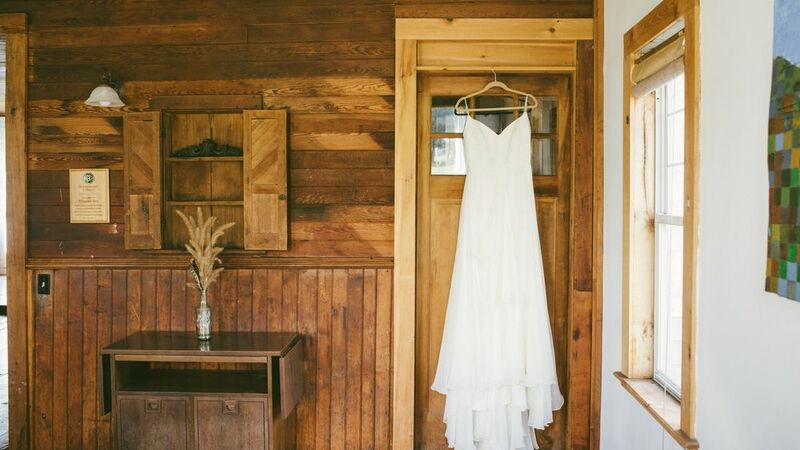 Take a step back in time at this green-certified, eco-friendly venue with an antique refinement perfect for the most elegant affair. 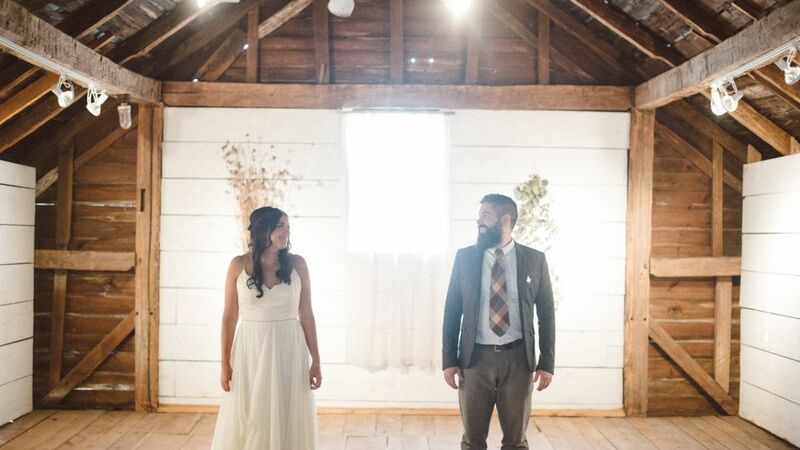 Enjoy an outdoor ceremony, followed by cocktails inside the historic barn. 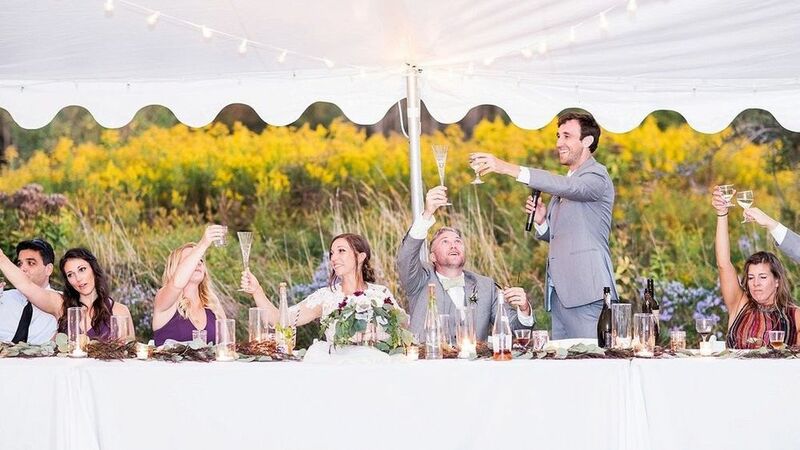 Later, host either a smaller reception for up to 75 guests inside the barn or a larger celebration for up to 350 guests in the field, set against mountain views and blooming meadows. 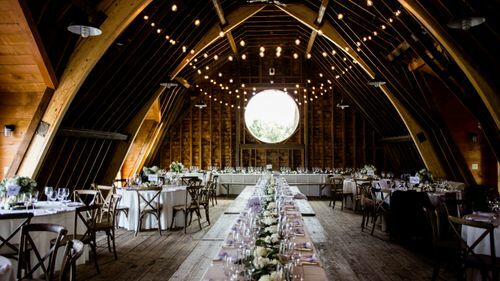 A truly one-of-a-kind venue, your host, a professional artist has curated a selection of hand-made farm tables and chairs that add to this venue's unique vintage vibe. Add on custom floral and a bit of lighting as finishing touches and you're sure to pull off the uniquely-you wedding you've so always wanted. Only 15 Weddings Remaining for 2019 — then calendar will close.? Tables - Handcrafted wooden tables for up to 125 guests with one-time placement. Chairs - Chairs for up to 125 guests with one-time placement. Changing Rooms - Available with home rental (see below). Internet Service - Limited Guest WiFi available. 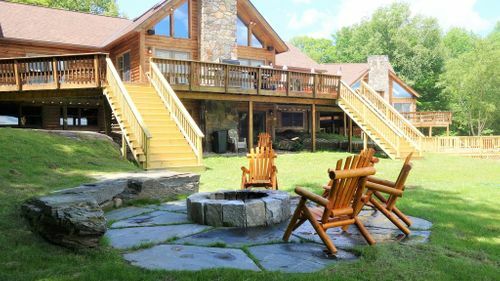 Electric Power - Commercial grade available in barn and at field reception site. Power for ceremony site is location dependent. 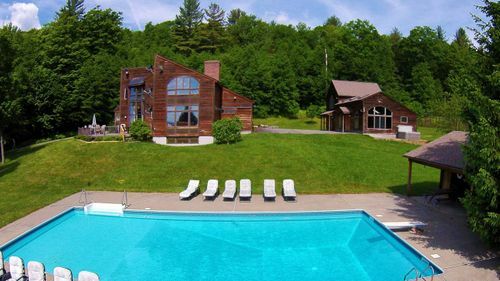 $2575 for 2 night stay. 1864 artist designed and renovated carriage house. Features four large bedrooms, hardwood floors, and an open-concept kitchen and dining area. Absolutely stunning! Open Flame Policy: No open flames inside buildings. Prior approval required for other items in or near buildings. Decorations: May not damage buildings, walls, or trees. Fireworks: Considered upon request and with necessary permits. Trash and Recycling: Couples must consolidate into on-site dumpster. Noise: No noise restrictions or curfews.